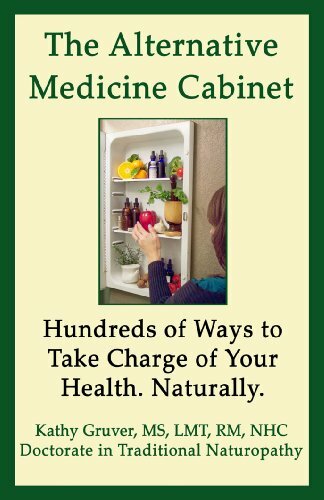 about this book: I wrote this book to share my knowledge of natural health with those people that might have a desire to make positive changes in their health. It includes so many different modalities and ways that the reader can easily incorporate changes into their lives. I start easy, with definitions of alternative medicine techniques, like what is reiki, what are different types of massage and what are some basic nutrition tips. Then, I go more in depth to issues like high blood pressure, cancer, obesity, women's health, corporate health and stress. And my famous "How to stay sick" list and accompanying "How to stay healthy list". To me, it's no good to do all the studying I do, if I can't share it. It's a fun, easy read and because I like to incorporate humor into everything I do, it's also funny. I share a lot of personal anecdotes and instill confidence that the reader can make these changes! Pick up a copy of this award-winning book today. And...it was turned into a national TV series too.